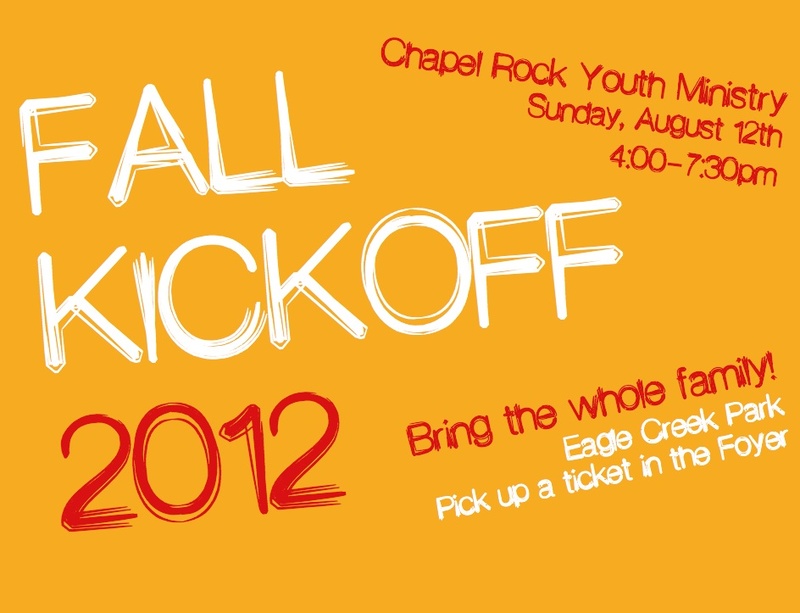 FALL KICKOFF: This Sunday! | BRING. CHANGE. SHARE. Come out this Sunday with your whole family for our annual Fall Kickoff! Meet your leaders, join in on some games, good food, and hang out with your friends! This is a great opportunity to hear all about what’s going on in Chapel Rock Youth Ministry for the 2012-2013 school year, as well as get you and your family connected. Be there at 4pm, and we’ll see you there!